Experience - The professionals at Irish Painting Company Inc have been pressure washing houses and commercial properties since 1984. Irish Painting Company Inc technicians understand that different challenges call for different solutions. 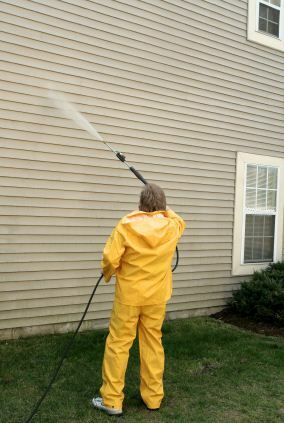 Irish Painting Company Inc adapts the pressure applied and detergent concentrations for each custom situation, whether pressure cleaning siding and windows or power washing walkways and driveways. Your home or business is in great hands with Irish Painting Company Inc's experienced pressure washers. Value - Priced just right, Irish Painting Company Inc pressure washing jobs are always competitively priced. Find out today how affordable Irish Painting Company Inc really is. Call for a free quote. Guaranteed Satisfaction - Irish Painting Company Inc guarantees that you will be satisfied with our pressure washing service. Your job will be done to your satisfaction and we go beyond to insure you are totally happy with the finished project.